1. Neon - Have fun with this trend by using multiple neons. 2. 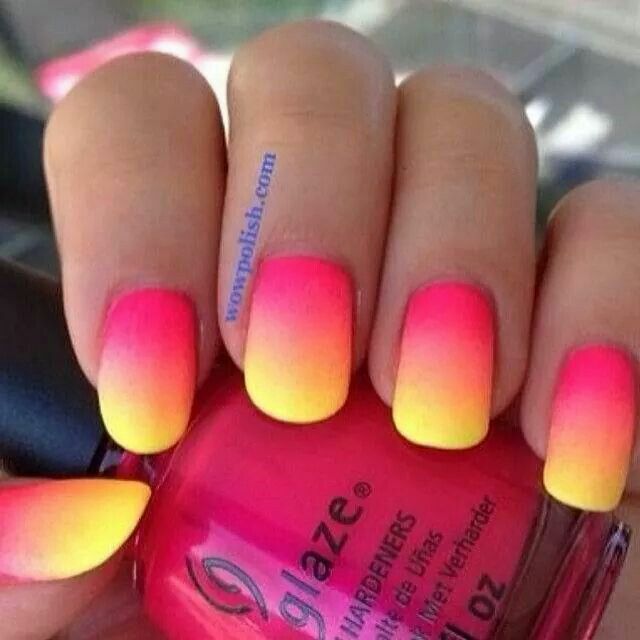 Ombre - The colors of the sunset give this look a summer flair. 3. 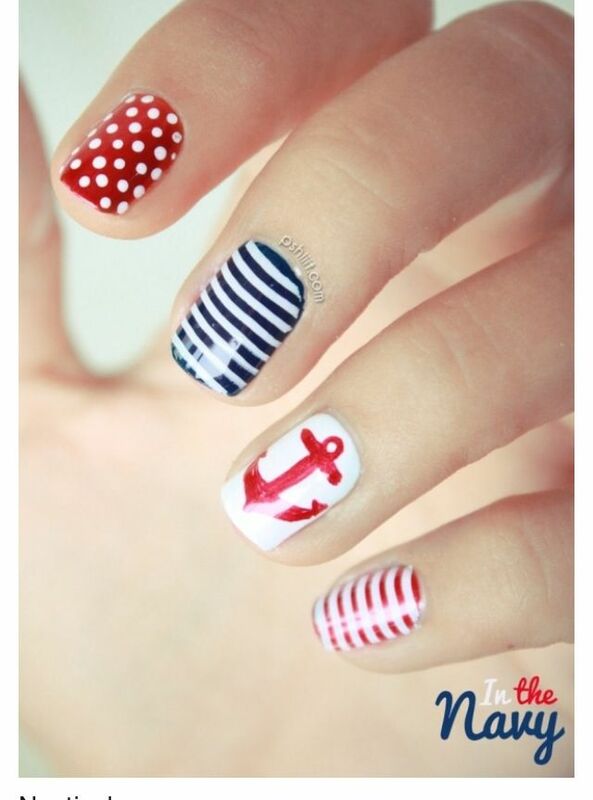 Nautical - No need for special skills. This red, white, and blue theme is easy to create. 4. 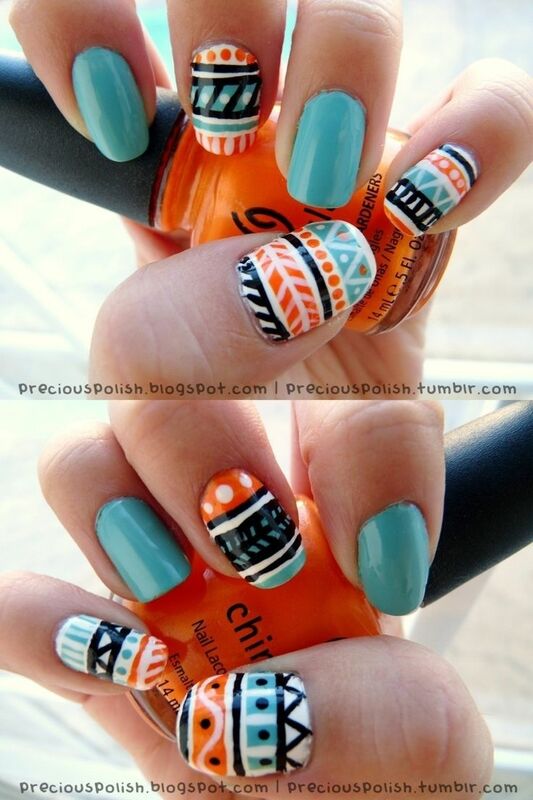 Tribal - This one might take a bit of practice. Luckily there are a ton of tutorials online. 5. 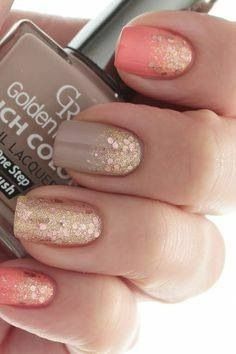 Gold Touch - A little shimmer makes this mani perfect for summer.